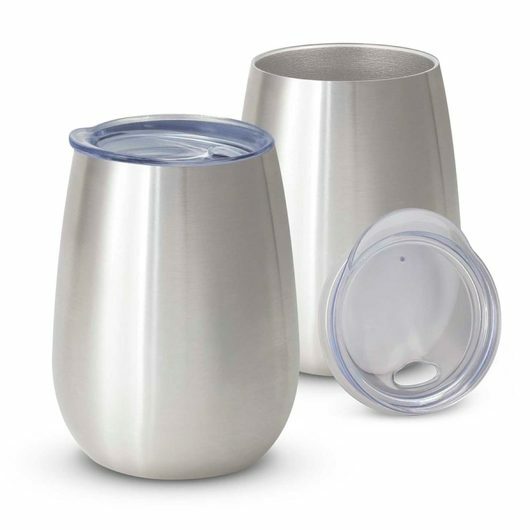 Enjoy your favourite coffee in style with these premium re-usable metal coffee cups. For a premium look and feel you won't be disappointed by the Murray Vacuum Cup. 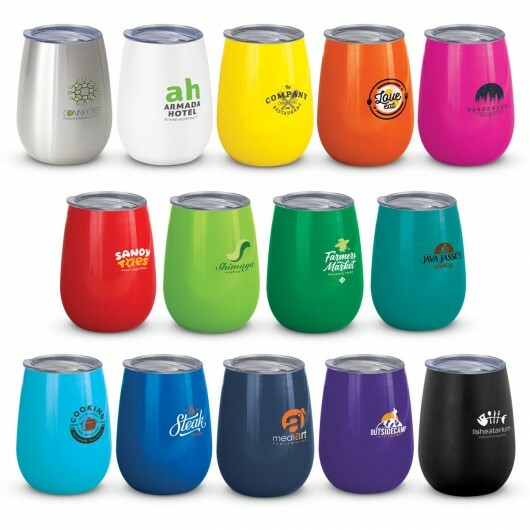 With a double wall build that will keep drinks hot or cold for approximately 3 hours and timeless curved design they're a great environmentally friendly way to promote your logo. 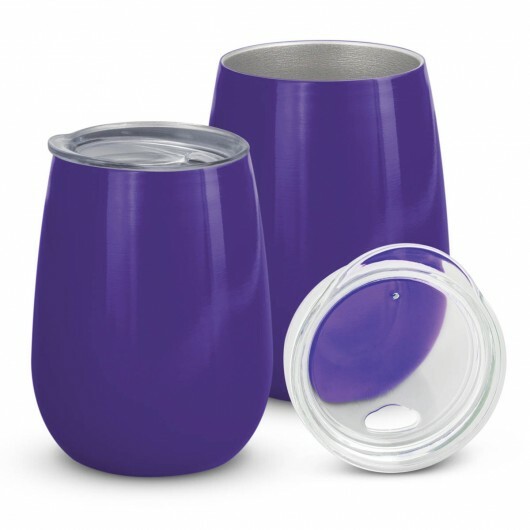 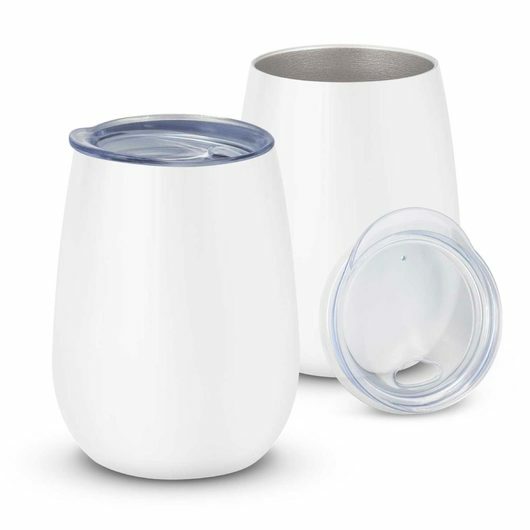 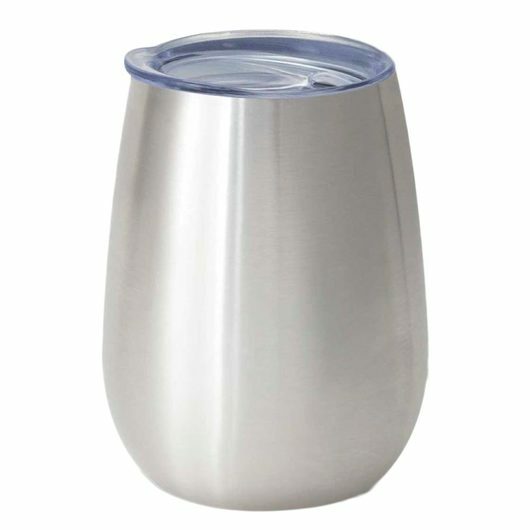 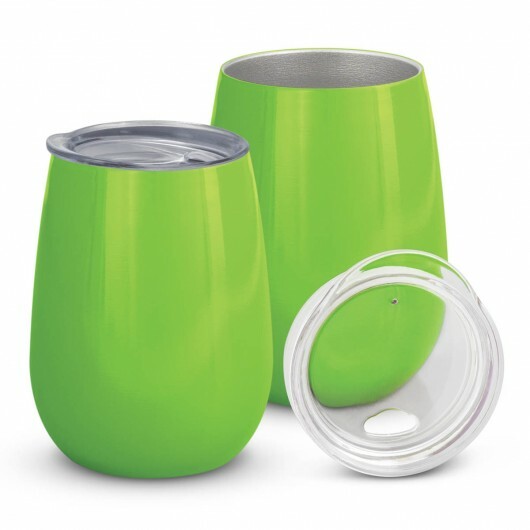 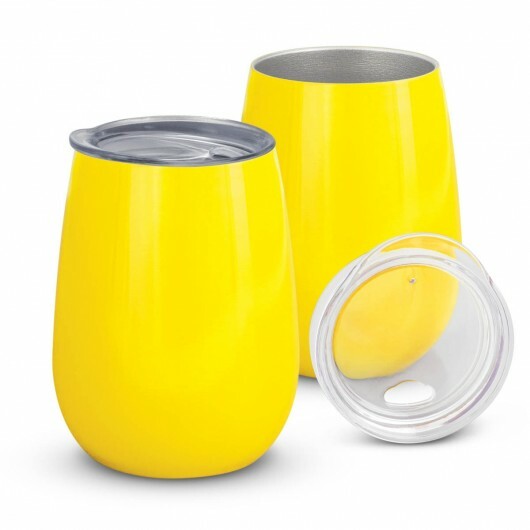 These cups come with a secure push on lid and laser engrave to a stainless steel finish. 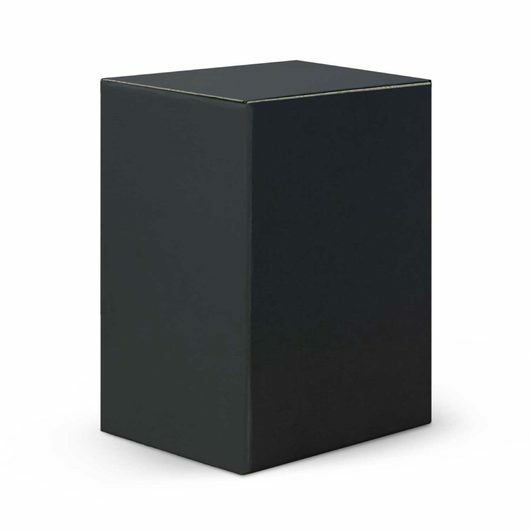 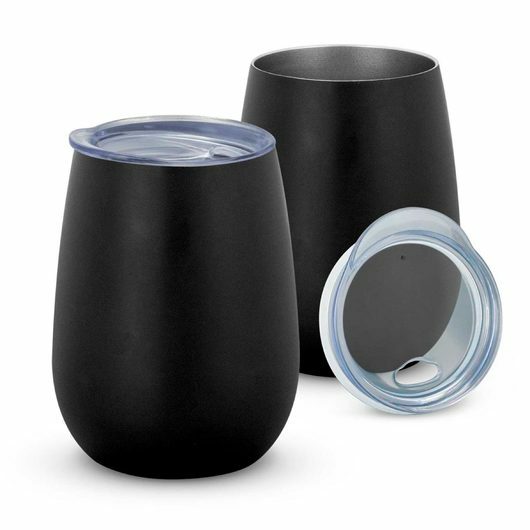 Each cup comes presented in a black gift box, handwashing is recommended for these cups.